The Heard Museum has been awarded a $1.25 million grant from Virginia G. Piper Charitable Trust to create a new gallery within the existing structure. Construction on the 6,500-square-foot “Grand Gallery” is set to begin in fall 2016. 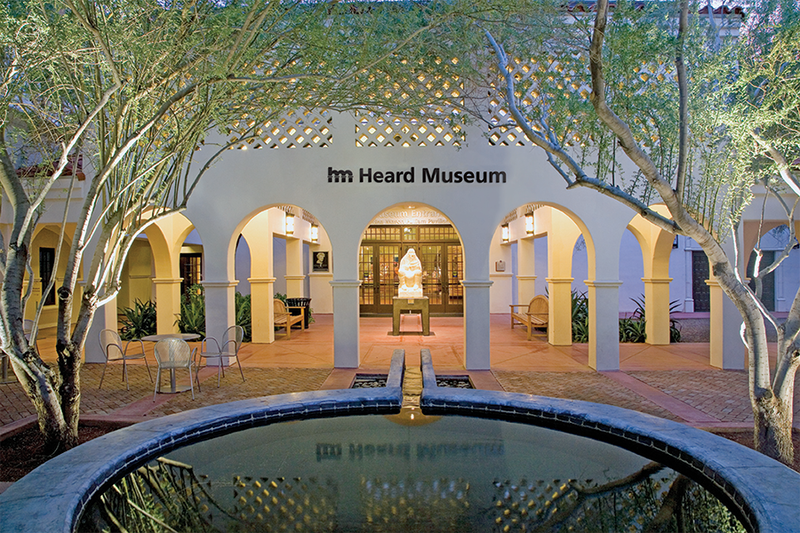 “We are honored to receive this grant and very excited to be working with Piper Trust on realizing this critical initiative for the future of the Heard Museum. Creating this new expanded gallery by renovating existing spaces opens our doors to a multitude of world-class exhibits and programming opportunities,” said John Bulla, interim director and CEO of the Heard. Features will include energy-efficient, state-of-the-art technology, including digital communications platforms and interactive exhibit capabilities. Once completed, this important project will further the Heard Museum’s ability to educate and inspire audiences about the indigenous cultures and peoples of the Southwest. Entrance to the Heard Museum, featuring the sculpture “Earth Song” by Allan Houser (Chiricahua Apache).